This study was well-established as a pioneer work on archaeological methodology, the theoretical basis of all archaeological analysis whatever the period or era. The first edition of the book presented and evaluated the radical changes in methodology which derived from developments in other disciplines, such as cybernetics, computer science and geography, during the 1950s and ‘60s. 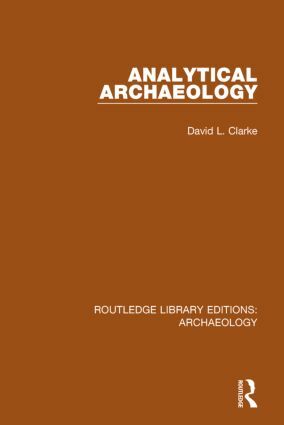 It argued that archaeology was a coherent discipline with its own methods and procedures and attempted to define the entities (attributes, artefacts, types, assemblages, cultures and culture groups) rigorously and consistently so that they could be applied to archaeological data. The later edition continued the same general theory, which is unparalleled in its scope and depth, adding notes to help understanding of the advances in method and theory to support the student and professional archaeologist.